Luxurious chocolate milk from Twin Brook Dairy near Lynden. Glass bottles returned to Food Co-op for deposit. It's addicting. Whole milk, at least in the chocolate. 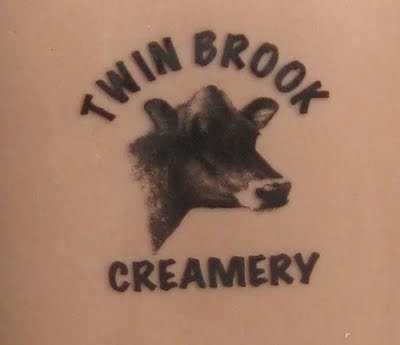 Maybe Twin Brook should offer low fat in the chocolate like they do in the regular milk. All that sugar and fat, but another addiction of mine can cancel out the first addiction... Dancing. Burn it off. I like having addictions if they cancel each other out. Some of the dancing costs a bit of money. I've found a studio on Cornwall Ave. that can be around $10 a session. Still it's quite a release. Moving to music around interesting people. The instructor added to the last experience with a suite case of memories. Rocks of special meaning, a heart shaped burl from some tree. Healing and sharing. One can see people crying at times, but also dancing and laughing the next moment. More than just fitness. It's an experience, but it does cost a bit. The milk costs something also. Still my addictions don't cost too much and they often cancel each other out. Then there's also dancing at a place called the Purple Church.